Home > Hair Care > How to get Healthy Hair > What is a hair mask and what does it do? What is a hair mask? The answer to all your mane prayers, that’s what! If there’s one hair product we can’t stop talking about (or get out of our tresses), it’s hair masks. After all, what other product can take dry or damaged tresses to healthier heights when you need it most? And since it’s everywhere, you might be still wondering: what is a hair mask? And, what exactly does it do? A hair mask is an intense conditioning treatment that works to provide your tresses with some extra TLC. 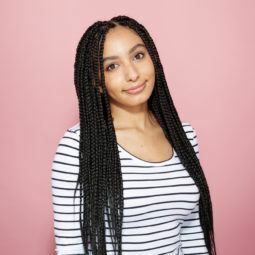 Unlike your fave conditioner, the levels of conditioning ingredients in a hair mask tend to be on the heavier side (think more rich oils and lipids! ), which is why they work so well. Depending on the one you buy, generally, hair masks work to help keep your mane in healthy condition. How? By providing it with a major dose of nourishment via all the amazing ingredients, while also helping fortify your strands against future damage, too. 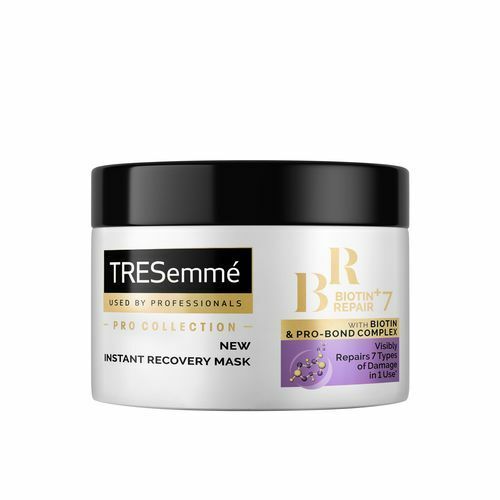 Editor’s tip: If dry and damaged locks are your #1 hair problem, we recommend trying out the TRESemmé Biotin + Repair 7 Intensive Mask. The idea behind this product is a simple one: to give over-worked strands an intensive repairing boost. The result? Smoother, star-worthy locks that are future-proofed against damage and ready to be showed off. The best thing about hair masks? Everyone is invited to the party. No matter your mane concern or hair type (even if you think you’ve got the healthiest-looking locks around! ), there’s a mask designed just for you, and it can help you achieve your hair goals. To bring out the best in your hair, we recommend you using them 1-2 a week. Doing so can help make a big difference in the shine and strength of your strands. If you love colouring your hair, you’ll know how important it is to invest in hair products that have your hue in mind. Luckily, the TRESemmé Colour Shineplex Mask does. 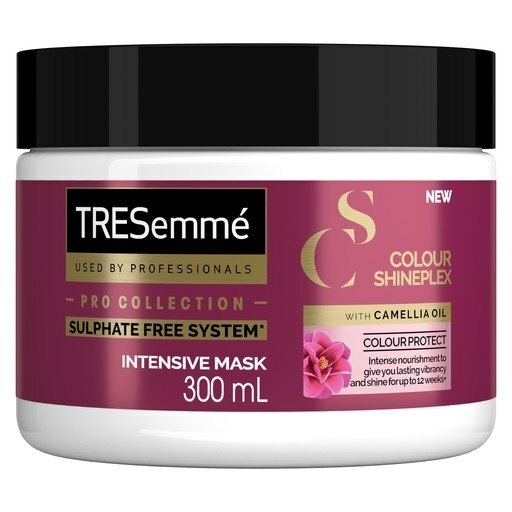 This nourishing sulphate-free system is infused with Camelia Oil and helps preserve the vibrancy of your colour for up to 12 weeks, as well providing your mane with a glossy shine. Looking for a vegan-friendly hair mask? You can give your locks and the planet some TLC with the supremely hydrating Love Beauty and Planet and Repair 2-Minute Magic Masque. 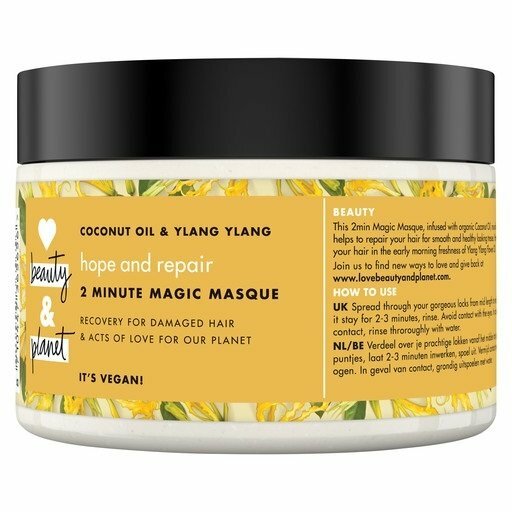 This ylang ylang flower oil scented hair mask is infused with repairing and nourishing coconut oil, making it the perfect mask to rely on when you want to give your locks a mini spa day. 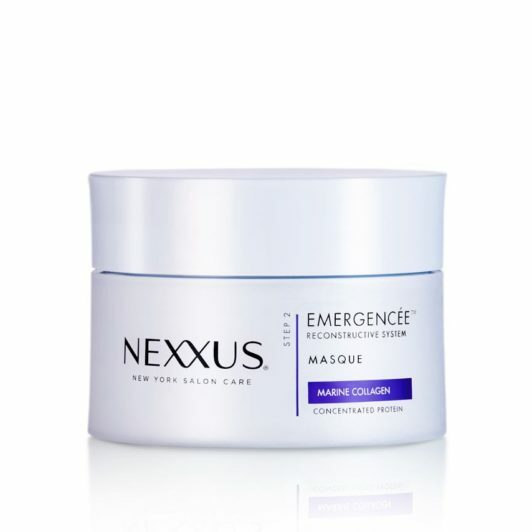 With protein at its core, the Nexxus Emergencée Mask is exactly what you need to help deeply nourish and protect your strands, control frizz and leave your tresses with a silky, smooth finish. Top tips for creating stunning volume: Hair hacks that you'll love!